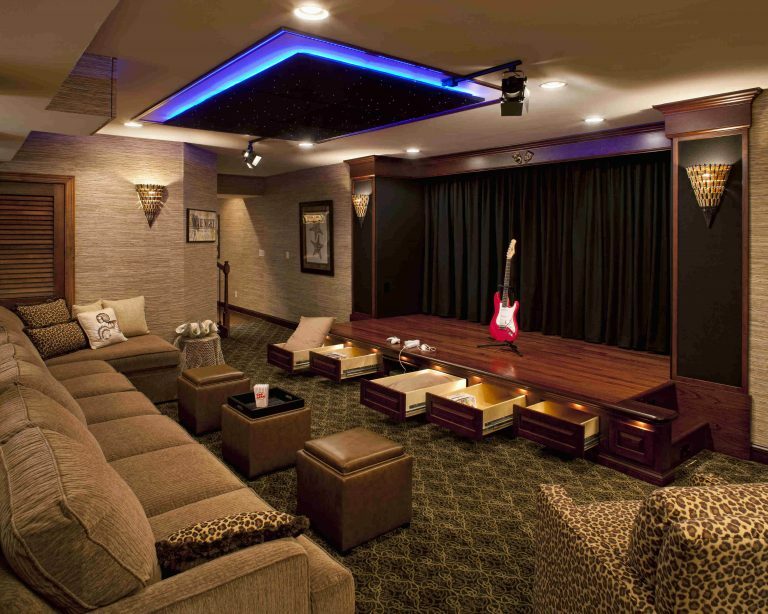 Our Performance themed theater began as a relatively straight forward home theater. 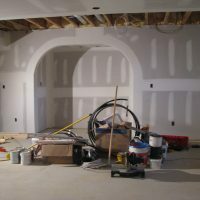 However, as we got into the design phase the project became much more of a challenge. 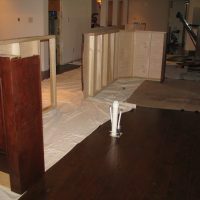 First, we had to overcome the issue of enclosing/hiding the sewage clean-out, which protruded from the basement floor. As a solution to this issue, we added a stage in front of the theater area. This way, we could conceal the sewage clean-out, while maximizing space. 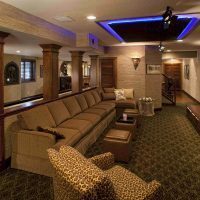 In order to finish the rest of the space, we built a custom bar in our in-house cabinet shop, an exercise area, a pool table area and a game area. The bar became our second major challenge. 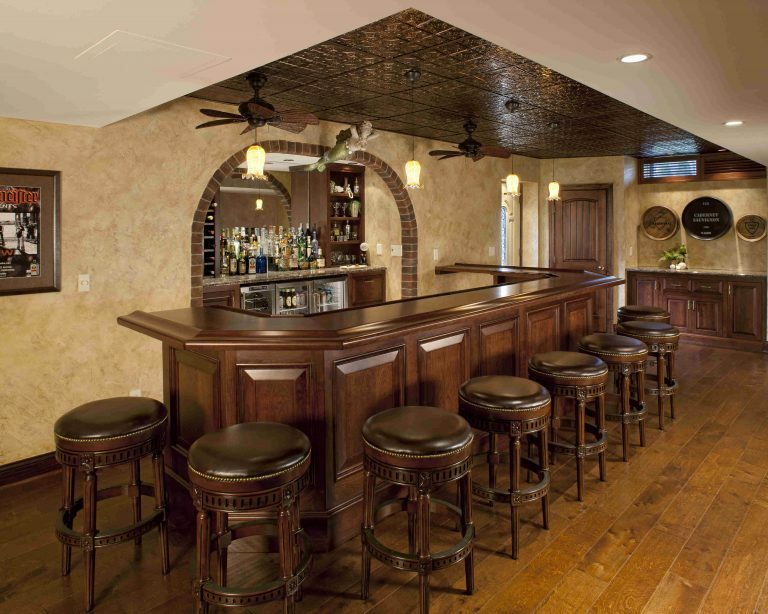 Our client wanted the bar to appear as something commercial, not residential. 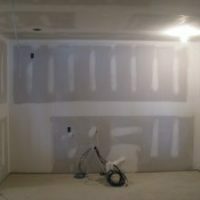 Therefore, we installed a bar rail, a drip rail, and exposed appliances behind the counter. 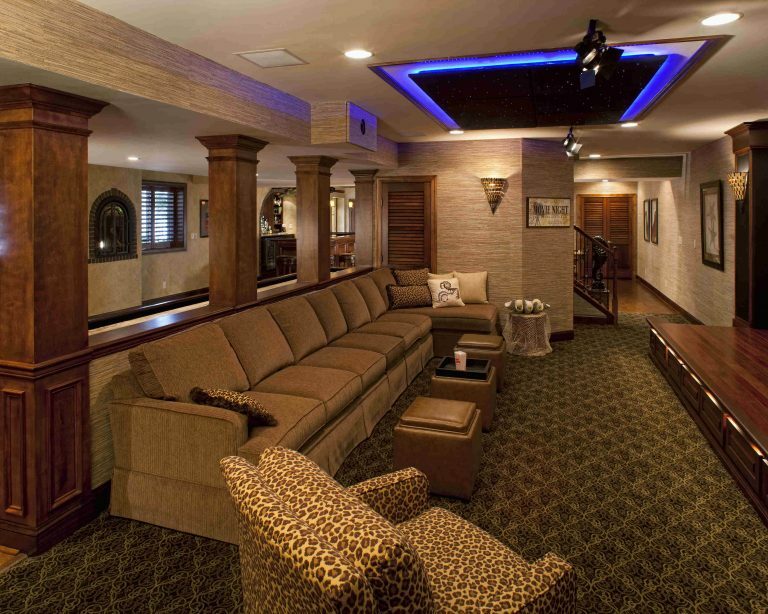 Overall, the project exceeded the clients’ expectations. 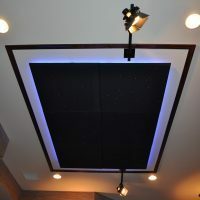 The main sewage outlet and clean-out for the house was projecting up from the floor 14″. 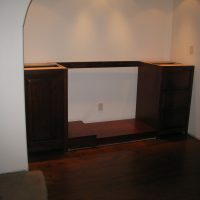 The stage needed to accommodate and conceal the outlet. 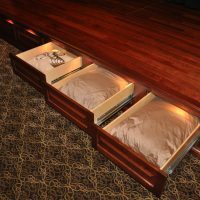 A trap door was fabricated within the floor of the stage to allow future access and clean-out. 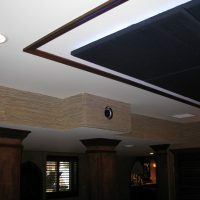 In order to develop a sleek design, Media Rooms chose to hide the video projector within the ceiling soffit. 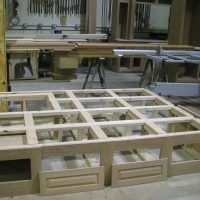 Across from the theater is an area for a custom built cherry wood bar that was fabricated in our in-house cabinet shop.